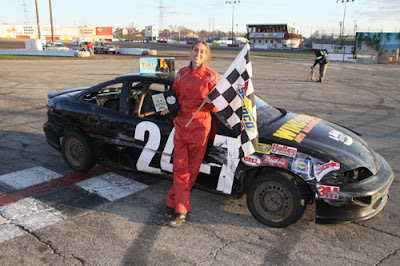 Jocelyn Davenport, # 724 Machesney Park, IL won the 'AAAA' 50-lap main event. 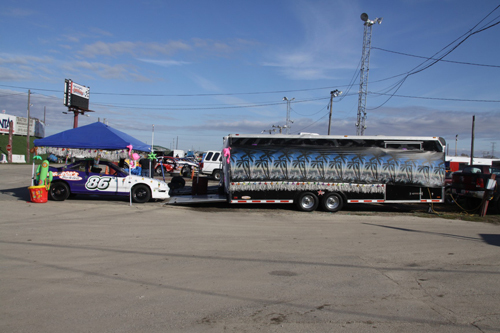 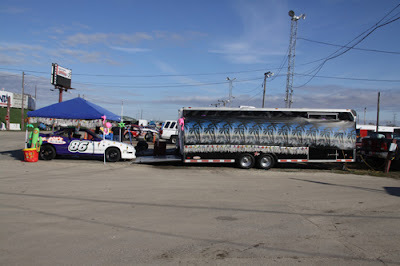 Steve McBride # 86 South Beloit, IL was the runner up in the "Bahamas" Theme contest. 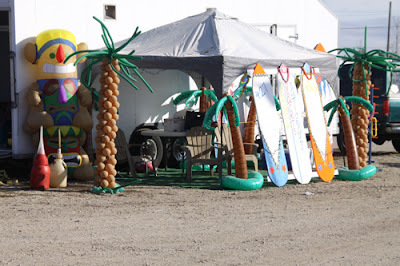 Pits "Bahamas" Theme contest was won my Nick Shuckes and friends. 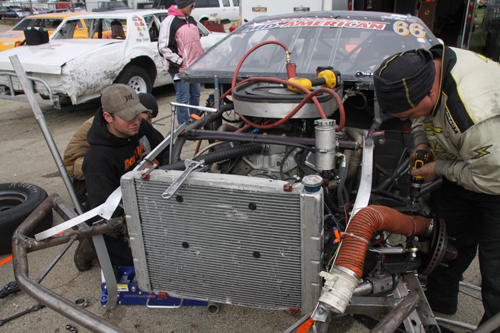 Crew members work hard to make repairs. 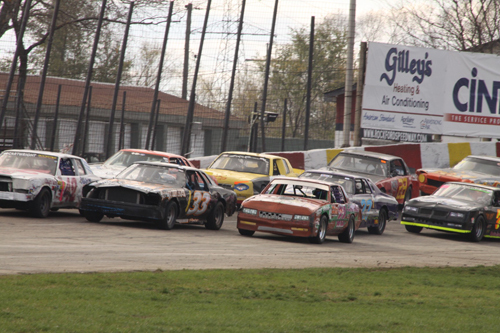 Racing action coming out of turn two saw numerous times 3 and 4 wide racing. 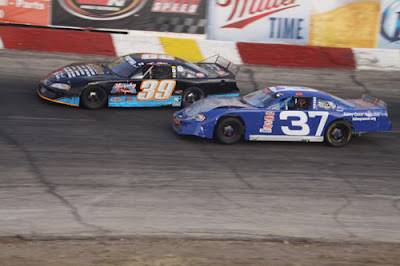 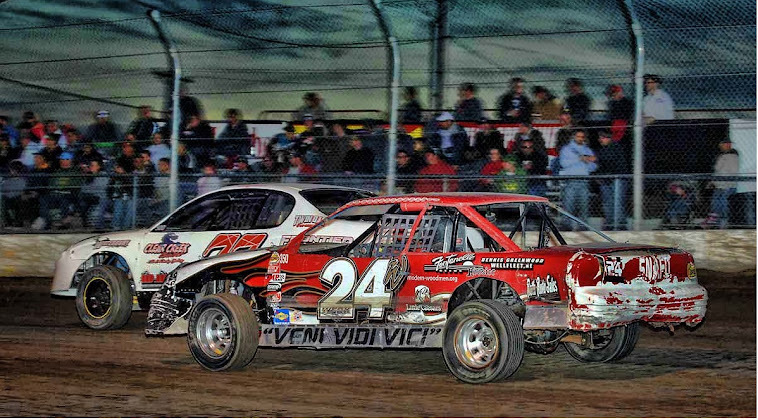 Alex Papini and Tom Gille put on a heck of a battle for the lead as seen in this photo. 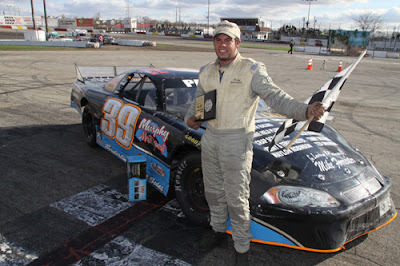 Alex Papini # 39 Machesney Park, IL battled with Tom Gille #37 to make claim to the 'A' Bracket 50-lap feature. 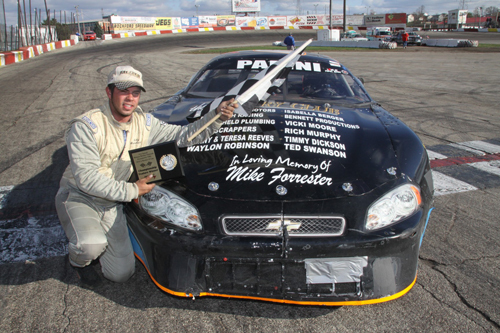 Alex Papini pays tribute to his friend Mike Forrester in victory lane. 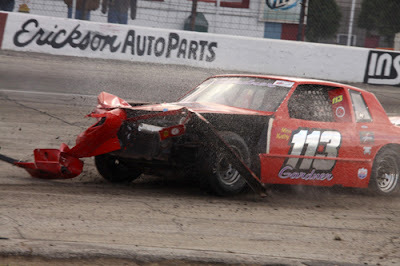 Kathy Gardner # 113 Blue Island, IL saw her race come to an end after making contact with the backstretch wall and a fellow competitor. 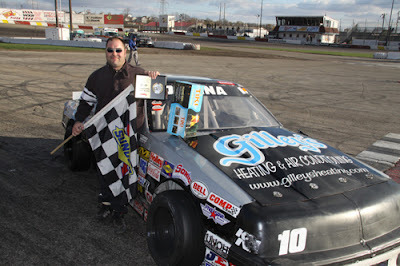 Nick Cina Nick Cina, Jr, Belvidere, IL won his 'B' Bracket 50-Lap feature after a three-way battle for the lead in the closing laps.